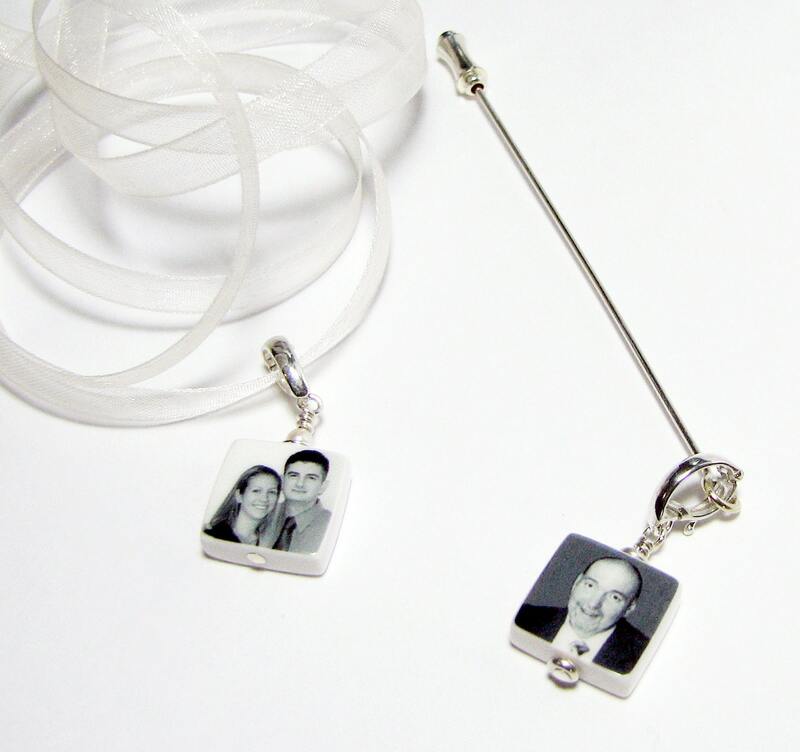 Mini memorial charm set for the bride and groom. This photo charm would be equally as lovely on a boutonniere or corsage. It accompanies a two-sided bouquet photo charm. 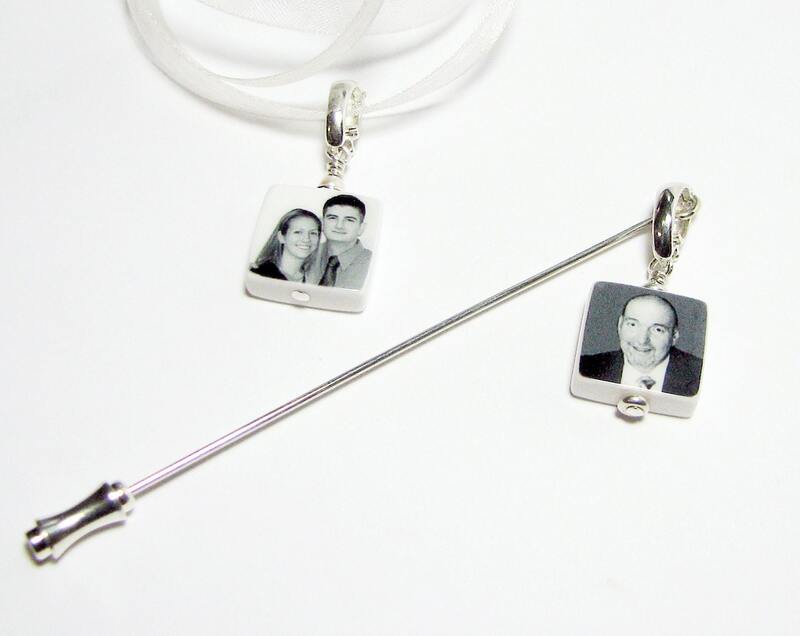 These custom, keepsake memorial photo charms are .5" each. 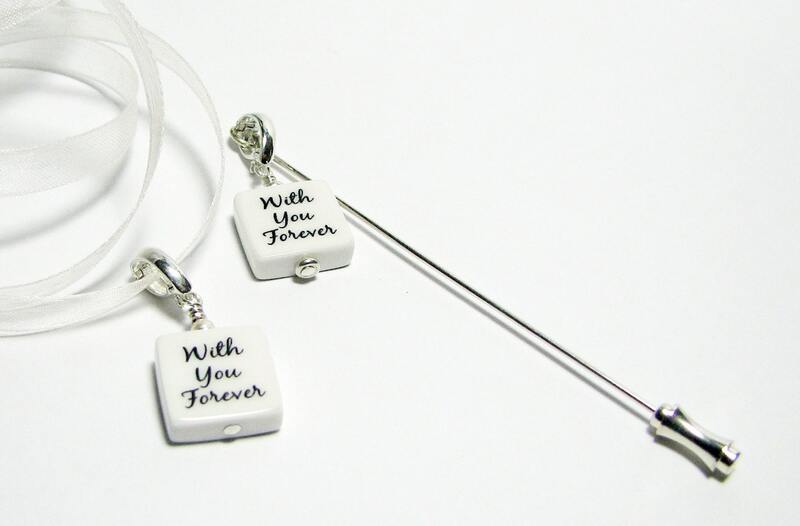 Stick pin is a 3" pin that is easy to place in your flowers, or on your lapel. 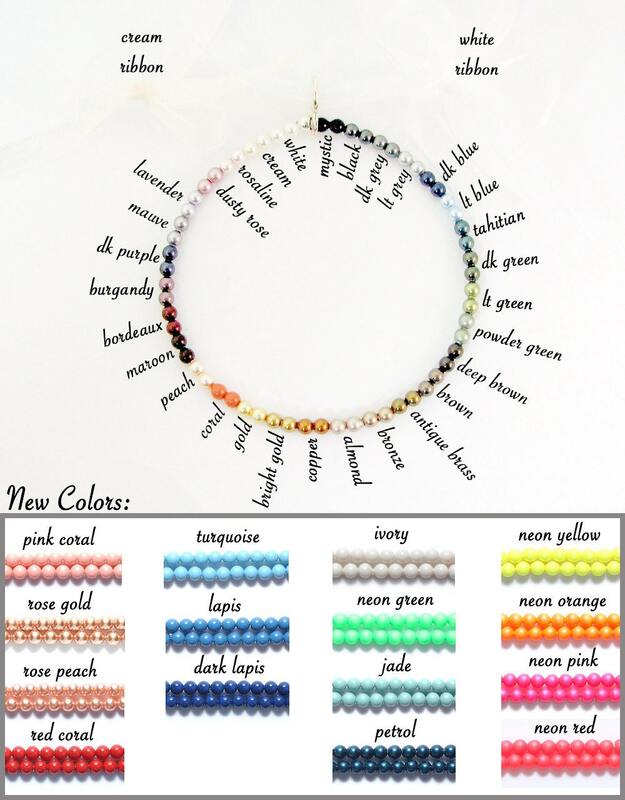 You can choose Swarovski crystal pearls from the chart above to match your images in place of the white one shown on the top of the bouquet charm. Just send your color preference with your images. * This listing is for one memorial charm. Need more than one? Email me at DJD [!at] Q.com for a quote. No order is too large.